Justice Franklin says he will rule next week Thursday on whether a stay of proceedings will be granted to Former Minister of Housing Irfaan Ali, for alleged land fraud charges against him. Yesterday Justice Holder fixed next Tuesday, January 15, for Devindra Kissoon, who is among the lawyers representing Ali, to reply to submissions made by Leslyn Noble, attorney-at-law for the Special Organized Crime Unit (SOCU), who is acting on behalf of Police Corporal Munilall Persaud. 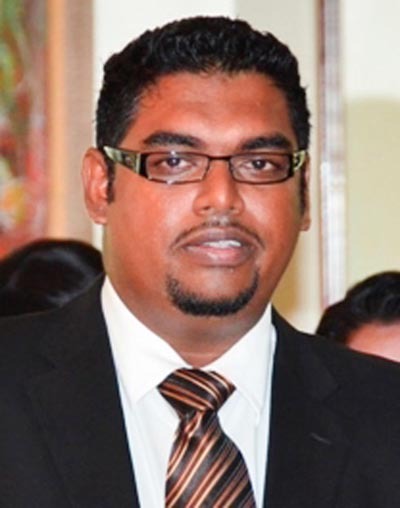 It was Persaud of SOCU who filed the charges against Ali. In the court documents, Persaud, along with the Director of Public Prosecutions (DPP) Shalimar Ali-Hack, Chief Magistrate Ann McLennan, and Commissioner of Police Leslie James, have been jointly listed as the Respondents. Appearing on behalf of the DPP is Assistant DPP, Teshana Lake, while the Attorney General Chambers is representing the Chief Magistrate and Commissioner of Police. The 19 charges against Ali stated that between the period 2011 and 2015, he conspired with persons unknown to defraud the Government, when he acted recklessly by selling 19 plots of State Lands at Plantation Sparendaam and Goedverwagting, East Coast Demerara. The lands, which were sold for $39.8M are valued at $212.4M, according to SOCU. It is being alleged that as former Housing Minister, Ali played a key role in selling several plots of State lands at Sparendaam, East Coast Demerara, to his colleague ministers and other top officials, shortly before Bharrat Jagdeo ended his second term as President. Ali is accused of defrauding Government of over $174M, by selling the land, below the market value, to former President Jagdeo and ministers of the then PPP/C government. Ali, through his lawyers, is seeking an interim order restraining the Chief Magistrate, before whom the matters come up for hearing on February 6, or any other Magistrate from hearing or attempting to hear or determine the matter pending the hearing and determination of the application before the High Court. Besides the application for a stay, Ali is asking the court to declare that the charges, which do not allege any underlying unlawful conduct, contravene Section 144 (4) of the Constitution of Guyana. Among other things, Ali is seeking an Order of Certiorari quashing the decision of the DPP to charge him with the offence of Conspiracy to Defraud. Ali contends that the decision is irrational, arbitrary, capricious, whimsical, malicious, biased, without any proper evidential basis, unreasonable, unlawful, null, void, and without no effect. Ali is asking the court to award damages and costs in an amount to be determined at trial, but not less than $100,000. SOCU, an arm of the police force, spent several months investigating the allocation of lands at ‘Pradoville Two’ to Cabinet members of the People’s Progressive Party (PPP), and close associates. A forensic audit found that awardees grossly underpaid for the lots by a total, just short of $250 million, while the state-owned National Industrial and Commercial Investments Limited, National Communications Network, and Guyana Power and Light Inc. were never reimbursed for millions of dollars spent to execute preparatory works.